Our all-inclusive Beaches Resorts offer Luxury Included® Holidays where kids and grownups alike can do as much - or as little - as they want. Holidays at our family resorts in the Caribbean are all about you, and taking the time to relax, unwind and spend quality time together with loved ones. A true island escape set on 12 miles of the world's best beach, Beaches Turks & Caicos is the ultimate all-inclusive vacation for families. With endless land and water sports, Global Gourmet™ dining at 21 restaurants, luxurious rooms and suites, and exciting family-friendly activities including Sesame Street® stage shows, the Caribbean's most thrilling waterpark, and fantastic beach parties, it's easy to see why Beaches Turks & Caicos has been voted Top 25 Hotels for Families in the World by tripadvisor® year after year. Negril invented "chill" - so get ready to embrace the laid-back spirit at this low-rise resort perched along Jamaica's famed Seven Mile Beach. From the moment you enter the open-air lobby you'll be caught up by fresh ocean breezes and the vibrant colors of the West Indies. Bringing the outside in, this all-inclusive resort and spa in Negril, Jamaica is always open to the breathtaking beauty of the tropics. The vibe here is totally carefree and about spending time with those you love. 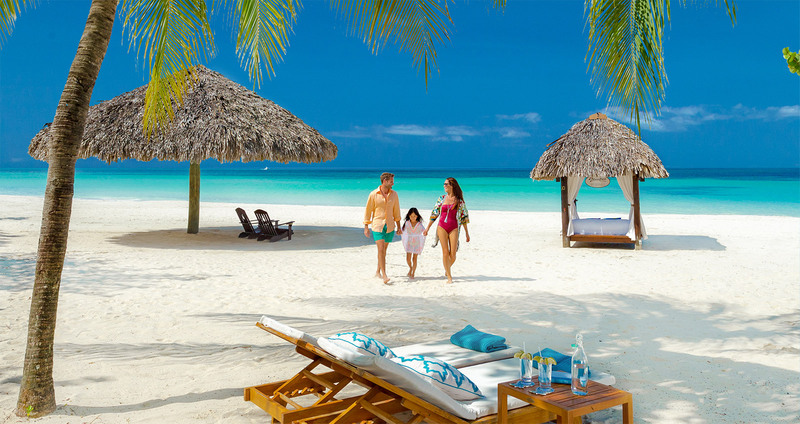 This resort was voted among the Top 10 Best Beach Resorts by Parents magazine. Twenty-two acres of lush tropical gardens, a gorgeous private white-sand beach, 7 gourmet restaurants, 3 fantastic swimming pools, a dedicated scuba practice pool and an entire ocean of watersports are just a few of the places and things to explore. Plus, only at Beaches Ocho Rios, includes a huge action-adventure waterpark and championship golf.